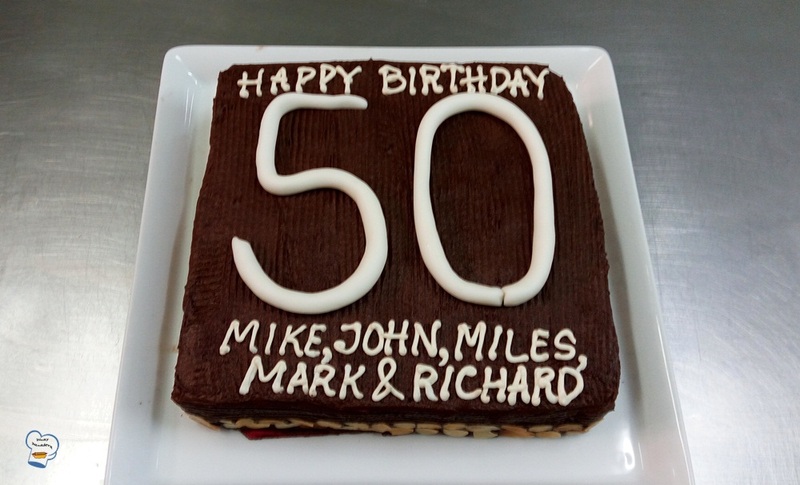 In the beginning of June, I was requested to make a four-pound chocolate cake for fractional owners of the resort. They were all turning the big 5-0 and wanted to have a joint celebration. This was a last minute request and I didn't have enough time to decide on the design. I thought a simple decoration would do. 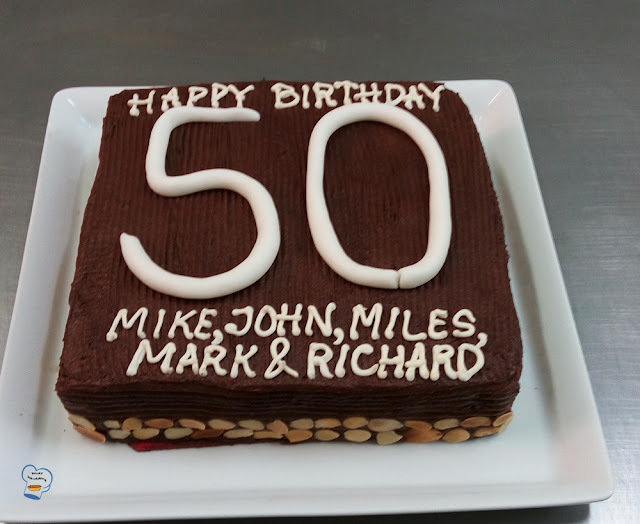 I made the number fifty using a rolled fondant. I formed the numbers and placed them on a tray with a non stick baking paper. To avoid the numbers being deformed, I left them in the chiller while I layered and frosted the chocolate cake. Once ready, I carefully placed the numbers on top. I wrote Happy Birthday just above the numbers. At the bottom, I wrote the names of all five people. They were thrilled when they set their eyes on their cake.